Many people who dye their hair also want the hair on their body to match. This includes eyebrows and pubic hair. Whether you want to dye your pubic hair to a natural-looking shade or go wild and dye it colors of the rainbow, there are precautions you should know about. Follow these steps to dye pubic hair safely. Decide on a color for your pubic hair. If you are looking for a temporary fun color, use hair colors that wash out after a few shampoos. If you want a permanent hair color, choose one that uses natural ingredients so it is not as harsh on your skin. 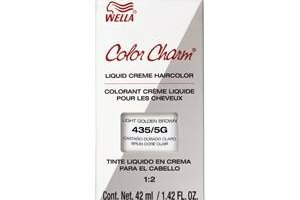 Mix an ounce of the hair color with an ounce of shampoo together in a container or right in your hands. Using this mixture is less harsh on your hair than the full strength hair color. Lather the mixture in the pubic hair and let it set for about 15-20 minutes. Be careful to avoid the genital area. Rinse the hair in the shower and check out the results. If they are not as dark as you would like, repeat the steps again. Cover the sensitive genital area with petroleum jelly for better protection. This can keep most of the dye off sensitive skin. 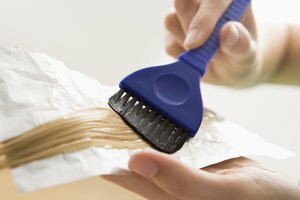 Trim or shave pubic hair a few days after dyeing the hair. If the skin is already irritated, the dye can make it worse.